1. Click here for the download page. 2. Follow the next steps to complete the installation. 1. 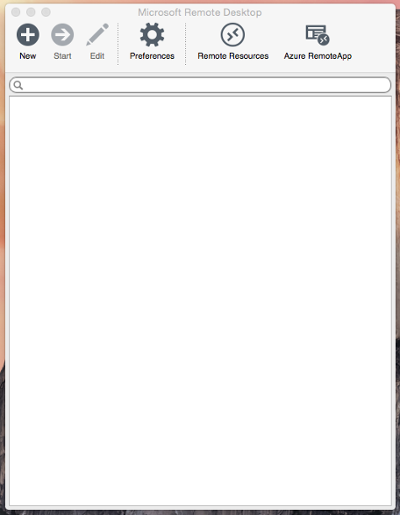 After installing the MAC application, run it. 3. The following screen will appear. Enter the server information shown. 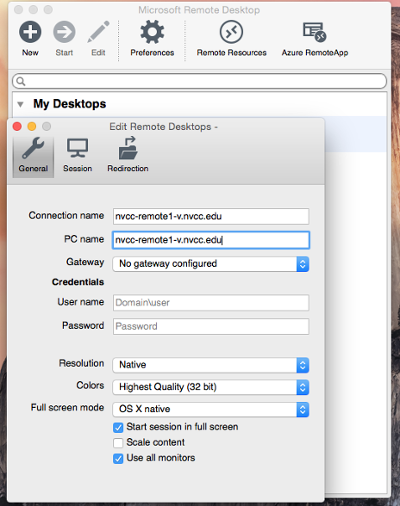 Users may enter any of the remote server addresses listed in the computer "Name" field. 4. 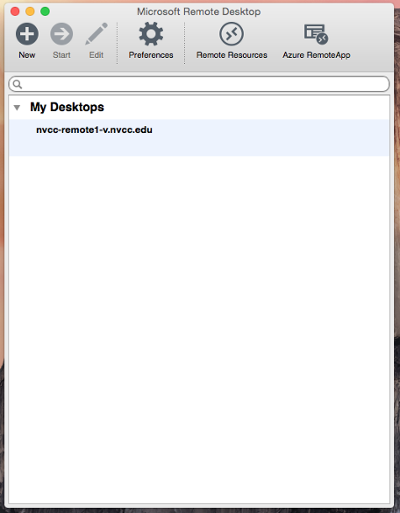 Once the information is entered, close the window by clicking the red button in the upper left corner. 5. The following screen will appear. Double click the newly created computer connection. 6. 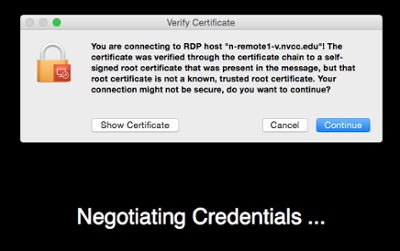 The remote server screen will appear and you may be prompted to accept a security certificate. Click Continue.